View Poll Results: Will Trypticon battle your Metroplex/FM? .... and also there's not a huge difference from mobile battle station mode. You've seen the G1 version of city and battle station yes? Nope, don't have a G1 Trypticon. Got mine last night, wow! Just wow! Question for ye masses, (for those that have him) when you move the tail up and down does your tail lock in place, mine doesn't appear to...? Is there some kind of trigger that locks the tail like the panels on his sides? Light piping. The eyes were the only place where I deliberately abstained from applying stickers. I think that the eyes look perfectly fine the way they are, and stickers would block out the light-pipe gimmick. 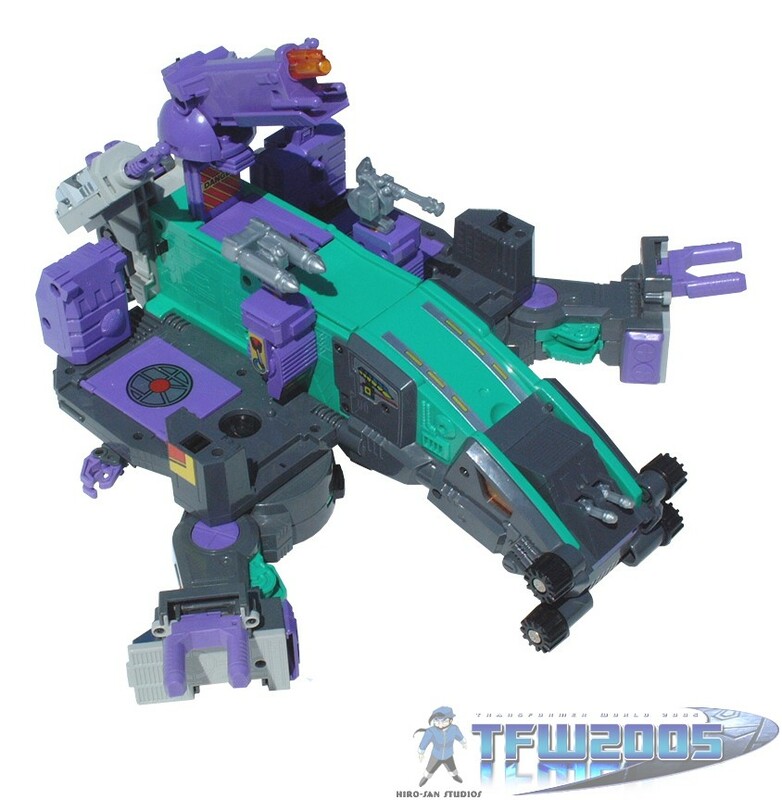 The Titan Master (Necro) can also connect with Trypticon's head. A shame that they didn't put more black on the robot mode, and they really should've just named it "Wipe-Out," since that's really obvious as to what it is. Either that or Tailgate. At least the head is black. Still, never thought I'd see the day when such an obscure character would actually have a toy! Well done, Hasbro. Mine's left hip is gummy to the point of jammed. I am sure someone mentioned a similar problem. How do you get into the hip and how do you fix it?